Hello again! 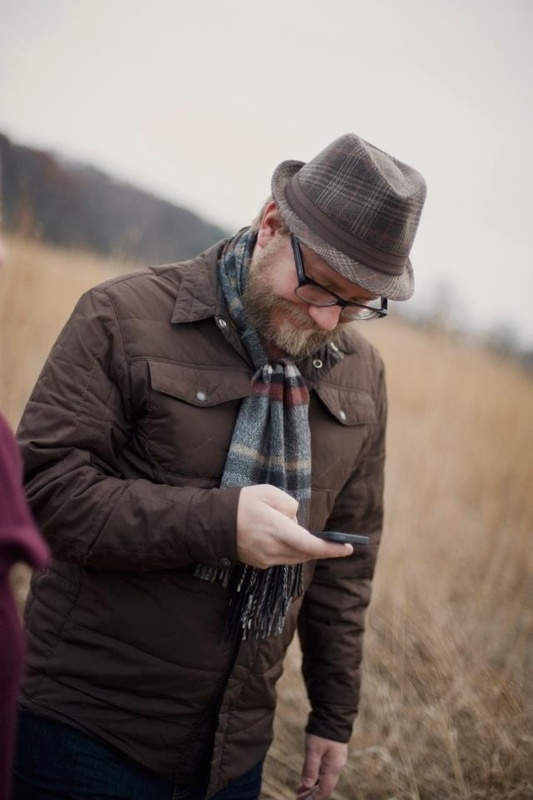 This week’s Phone Home features Minneapolis’ own über-tweeter, Kyle Matteson. Kyle can be found tweeting and favoriting like a man possessed, as well as at shows seemingly eight days a week. I’m pretty sure he has the time stopping pendant that Hermione had in Harry Potter and the Prisoner of Azkaban, otherwise I am not really sure how he manages to do all that he does. Frankly, he’s as close to an internet superhero as I know, and I’m proud to have him show off his super-secrets here on Phone Home. Enjoy! Mouthful version: I’m a Sr. Field Technician for the College of Liberal Arts at the University of Minnesota. tl;dr version: I’m a computer nerd at the U. In terms of what apps I use… no real philosophy behind them other than I’m always open to trying a new app that may do the same thing as my current preferred app, only in a different/more effiicient/“better” way. 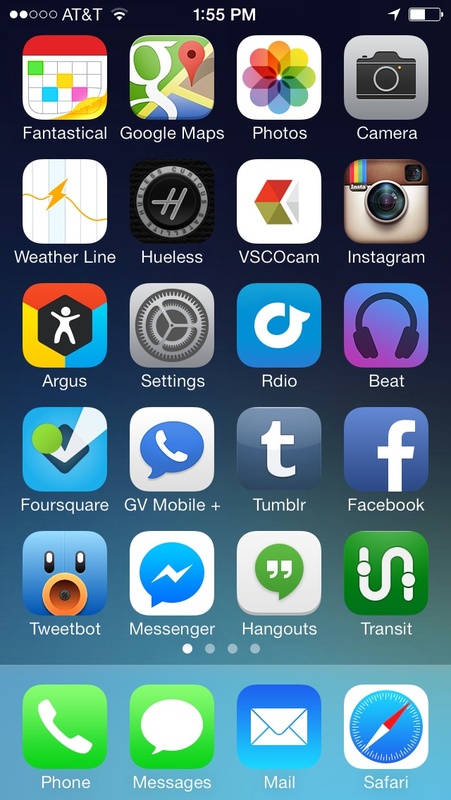 My home screen apps are ordered so that most of my communication apps (Twitter, Facebook, FB Messenger, etc.) are near the bottom 2 rows, and the ones near the top are more creativity/productivity based. I actually use Snapchat regularly among a small group of friends, so maybe that one? Rarely… maybe once a month at most. I always like to have 1 or 2 home screen apps that can be interchangeable on a minute’s notice however (say, MLB At Bat during baseball season, or Flight+/App in the Air when I’m traveling). I always have at least one or two additional photo apps on my home screen, in addition to Instagram and the default Camera app. I used to mostly use KitCam for taking and editing photos, but Yahoo! bought it and have stopped updating it. Now that I have a 5s with burst mode and slow-mo video, combined with the new swipe to change between camera types, I mostly use the default iOS camera. I do miss the independent focus & white balance feature, so when I need that I use VSCOcam to shoot. 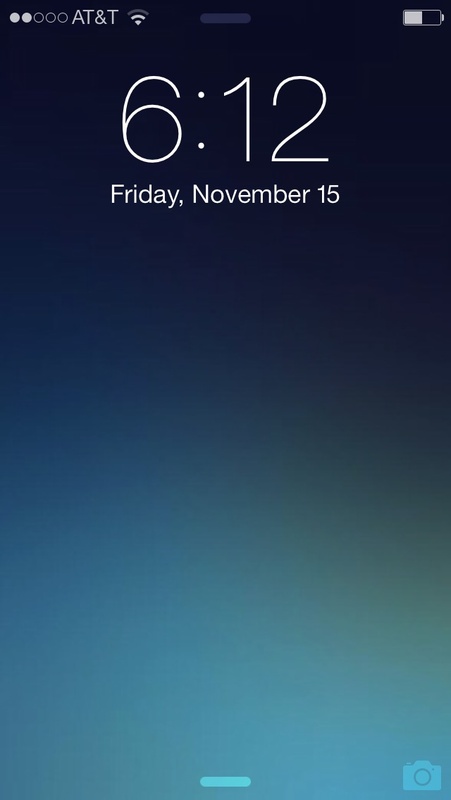 I prefer a dark wallpaper for my home screen… I tried a lighter/more colorful one once iOS 7 came out, but the black text for icons made my eyes hurt. For my lock screen I tend to go with something darker usually as well, so when I pull it out to check the time, notifications, etc., at a show, it’s not so bright. I also tend to prefer gradients, small patterns, or solid colors for my home screen, i find photos tend to obscure the app icon labels too much. I do often use photos for my lock screen however, I just currently happen to be using a gradient i like for both. Poorly? I generally have my apps organized in folders based on their type (Weather, Music, Productivity, etc. ), and then a few scattered new ones i’m testing out out of folders, but after my home screen I’m not as picky about organization since I don’t see those more than once or twice a day.